This cute doll will be loved by your little one! 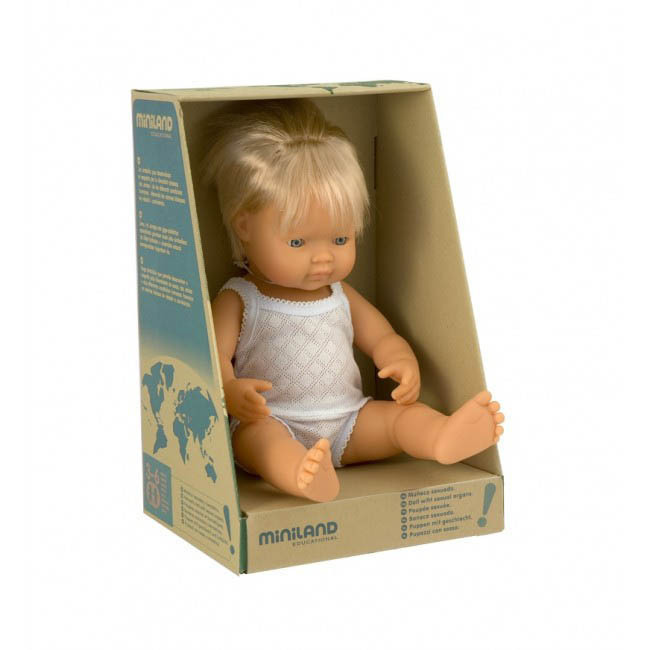 With well-defined features that help identify races that make up the big wide world. Featuring soft hair, lightweight underwear and a perfumed body, they are just lovely. Note: Can not be immersed in water. Made from phytalates-free vinyl. 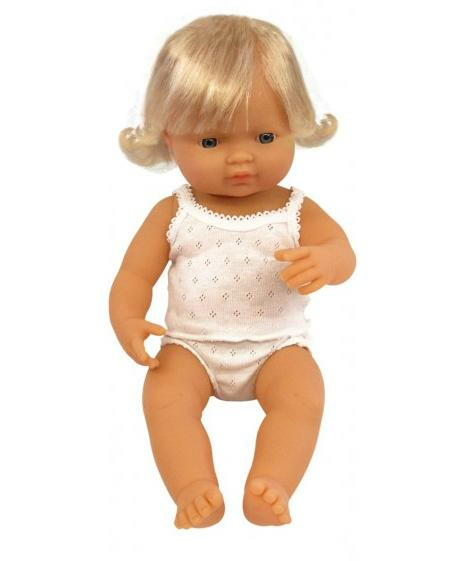 I bought this doll for my granddaughter who was waiting for the arrival of her baby brother (now here) and I am delighted with the quality of the product. 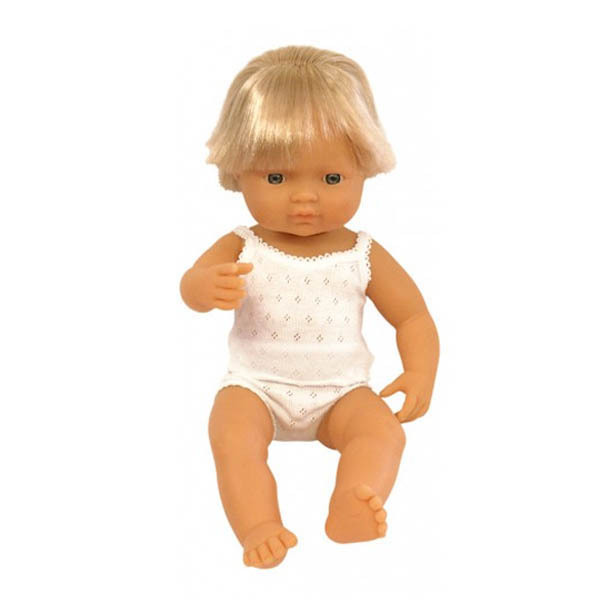 I bought some clothes on ebay for this little fellow and she has had a wonderful time bathing, dressing, changing nappies etc. His hair washes well and moveable limbs make changing easy. Also being bath friendly, he does not fill up with water, and he smells lovely too. Must say that I really appreciated the effort the Lime Tree Kids made to get my purchase to me quickly. Thank you!